Integrity Computer Concepts has been reliably repairing computers, training users and setting up home networks in South Orange County since 1999. Parents have been counting on us for over 10 years to help keep their kids safe from the dangers of technology. We love the internet…and we love kids (we have quite a few ourselves! ), but the two don’t always get along perfectly if left unattended. Filtering for the younger ones, monitoring for the older ones and sometimes a combination of the two for the tweens. Laptops, Desktops, Windows PC’s, MACS, iPads, iPhones, text message monitoring and more. We have done it all. We have added GPS Tracking Device Rentals to our list of services we provide to families. Click here to read more about our GPS Tracking Device Rentals. Call us today to book an appointment for a home technology check up! Is your computer a few years old? Does it boot up slowly? Are you getting blue screen errors? We can revive your computer by giving it a well needed tune up. You wouldn’t drive a car for years without changing the oil, so why ignore your computer? Like any investment, your computer needs periodic care and scheduled maintenance. When was the last time your computer had a thorough cleaning? If it has been more than six months, it is time to schedule an in-home preventive-maintenance visit. If you neglect to do this, things will get worse. Call us today to book an appointment for a computer tune up! Do you think your neighbors are stealing your wireless signal? Do you have more than 1 computer and would like to network them together or link them to your network-enabled TV or Home Entertainment center such as an Xbox 360, PS3, or Wii? We also help with iPhones, iPods, iTunes, iCloud and other Apple products. Does it seem like your computer has a life of its own? It could be a virus, trojan or spyware infection. No matter what kind of computer you have, you always need the most up-to-date security software. Not only do Anti-Virus programs protect your computer from crashing, but they also prevent you from accidentally passing the infection to other computers of family and friends when you send e-mails or share files. If you think you have a virus or you’re unsure about which virus software to install or how to configure it, just give us a call! How secure is your computer? As Internet usage has grown, so has the number of security threats. One way to protect yourself is to install a firewall, which keeps intruders from sneaking into your computer and accessing your private data. Firewalls also can alert you when unauthorized programs such as viruses and spyware attempt to transmit your sensitive information over the Internet. In particular, firewalls are crucial if you use online banking or if you work from home. We can also set up remote access so you have access to your critical data on the go. Protect yourself, your assets and your family … with help from Integrity Computer Concepts. How often do you backup your computer? If it were to crash or be stolen, would you lose important data? We recommend installing an external hard drive plus setting up an online backup solution. 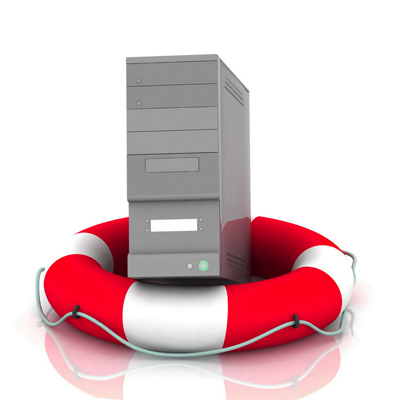 In addition to helping you to backup your data safely, we also offer data-recovery services that will recover lost files resulting from hardware malfunctions, software conflicts, or viruses. Give us a call to protect your data today. Parents have been counting on us for over 10 years to help keep their kids safe from the dangers of technology. We love the internet…and we love kids (we have quite a few ourselves! ), but the two don’t always get along perfectly if left unattended. Filtering for the younger ones, monitoring for the older ones and sometimes a combination of the two for the tweens. Laptops, Desktops, Windows PC’s, MACS, iPads, iPhones, text message monitoring and more. We have done it all. Call us today to book an appointment for a home technology check up!